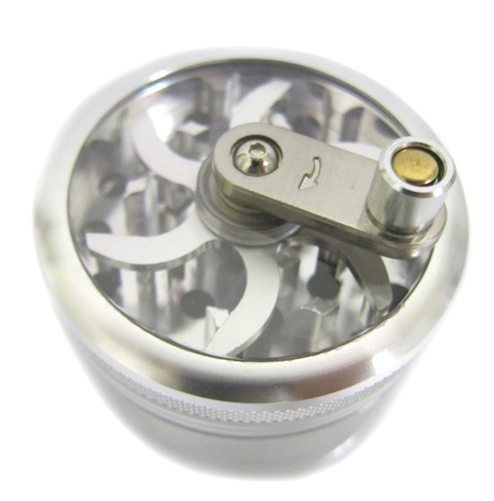 4 piece crank grinder in assorted colors. The product was never shipped and I was still charged for it. Not the best. but it gets the job done. the bud can adhear slightly to the mesh container after you grind it making it a little frustrating to get all the little stuff out, and the kief collector isn't that good.